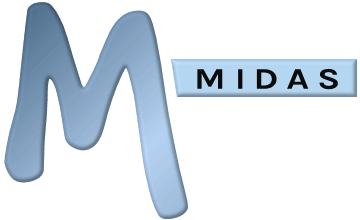 MIDAS is a powerful web based scheduling system giving you complete control over your room bookings & resource scheduling. Accessed entirely from your favorite web browser, see at a glance when your bookings are scheduled, manage staffing & equipment, send confirmations & invoices to clients, take booking requests through your website, and put an end to confusion & double bookings once and for all! This page indicates the current status of the MIDAS network, as well as any upcoming planned maintenance. ...Making your facilities work for you!